Several years about I wrote a post about Italy’s Alpine Soldiers (click link to read). Last November I received a message from Francesco Gentile who lives in Pescasseroli. He wanted to share the news that there was to be a special ceremony for the fallen soldiers of World War I. Medals were given to the soldiers heirs. The photo above was taken at the town hall where 43 medals were laid out in preparation for the ceremony. 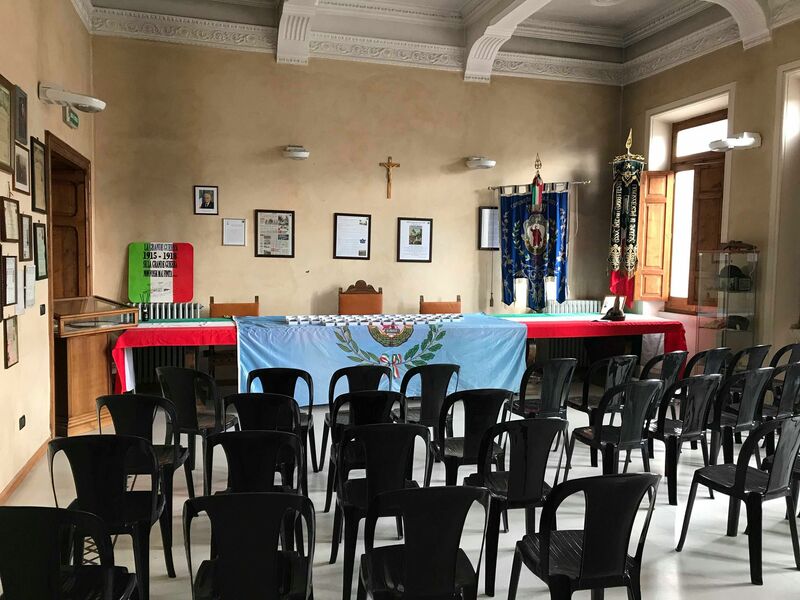 There are about 15 medals that Francesco and the community are unable to find relatives for. One of the soldiers Pasquale Di Nella is a great uncle to my cousin Vickie. Vickie’s great grandmother, Bibbiana Celestina Ciolli, was the sister of my great grandmother Elvira. Another soldier Giuseppe D’Addezio is the brother of Francesco’s grandmother. A third soldier who was honored is Paolo Del Principe. Francesco doesn’t know who Paolo Del Principe’s heirs are and I’ve not been able to find a link to Paolo in my research. 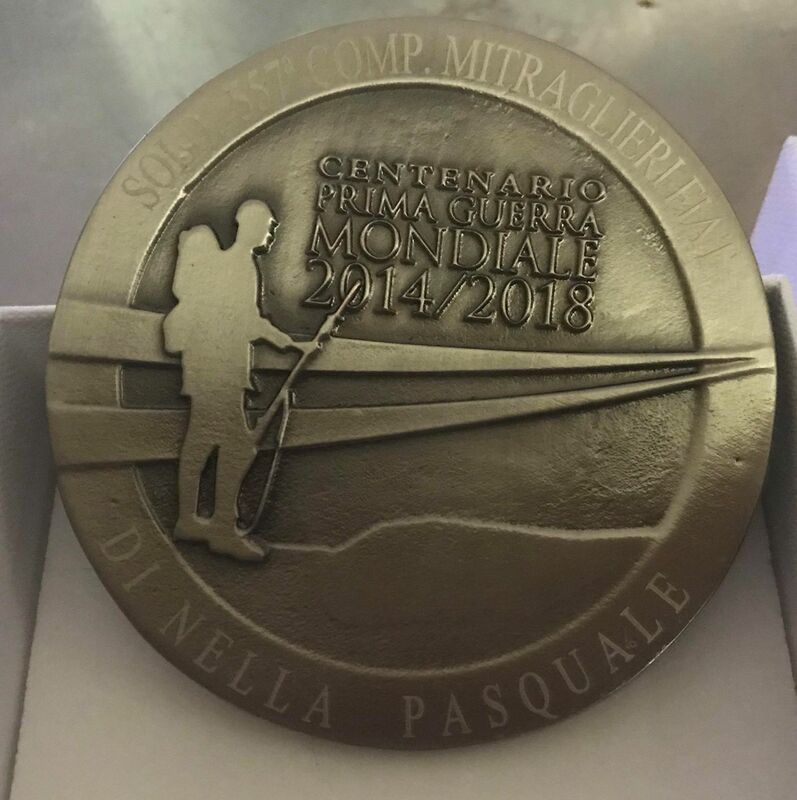 The medal to the right honors Pasquale Di Nella. He was killed about 1918. It’s wonderful that Pescasseroli honored the soldiers who lost their lives for our freedom 100 years ago. So interesting! If his last name was Del Principe, is it a guarantee that Paolo would be related to us?